Mfantsipim was the first high school established in Ghana. The school has been standing tall and strong since it was founded in 1876. The recent decline of facilities and resources have made it very difficult for the school to maintain the quality of students and life on campus that we enjoyed when we sought educations to improve our lives and opportunities. For this reason, graduates of Mfantsipim in the United States decided to conduct an annual fundraising effort to help promote educational opportunities and train future leaders. This year our goal is to raise one hundred thousand dollars ($100,000.00) to start an Endowment Fund. The proceeds of the Endowment Fund will be used to fund projects at the school, to improve the buildings and classroom experience for the students. We would like to count on your generous support to reach this lofty goal. You can make a contribution that will change the lives of students by donating on this GoFundMe Page. Your financial help will go a very long way to help current students and staff of Mfantsipim School in Ghana and benefit not only Africa, but the entire global community. Thank you for your generosity, in advance. 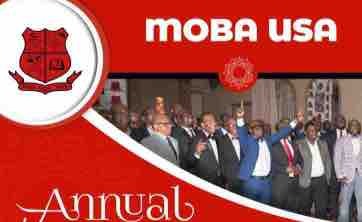 You can also donate on our website http://mobausa.org/donate/. This is just donations from the dinner last year ($6000) and $4250 raised this year by 17 of us. Now considering that we are 256 on this Whatsapp platform alone, can you imagine how easily we can meet our $100K target if everyone chips in? That is the plan, we hope everyone does their possible best to raise some funds from their network and circles. You can forward our GoFundMe Page to your friends, co-workers etc and whatever amount they donate, it will be credited to your house. Mfantsipim USA Inc, is a registered 501(c) organization and all donations are TAX-DEDUCTIBLE. Please send email enquiries to MfantsipimUSA@gmal.com or call any of the MOBA-USA Executives with questions. To pledge, send a WhatsApp message or text to 571-436-7929.